Cat Tales and Paper Trails: New MIUM challenge at Stamp TV: Have you SCENE it? New MIUM challenge at Stamp TV: Have you SCENE it? I'm hosting the Mix It Up Monday Challenge at Stamp TV this week! 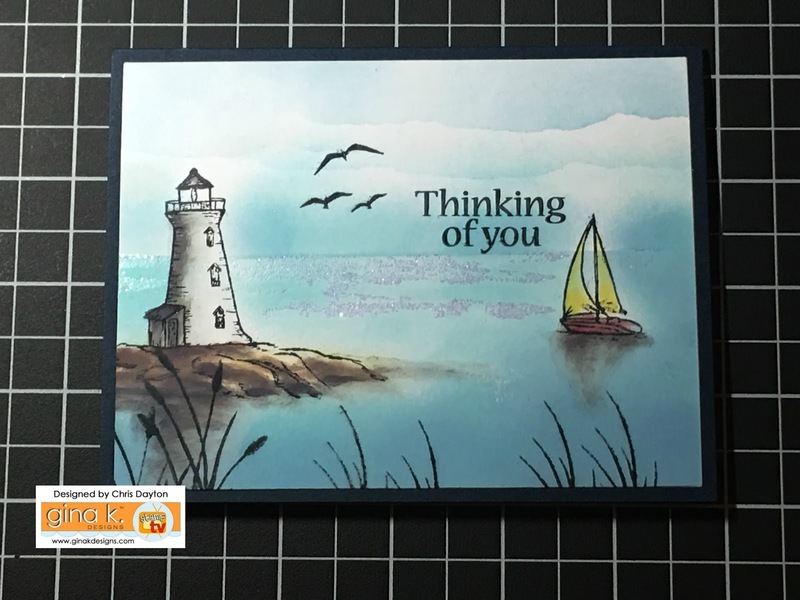 I am challenging you to use your stamps and inks to create a scenic card. For my example, I have used the the By The Sea set (illustrated by Theresa Momber for Gina K Designs), Gina K Designs inks and foam blenders, small brushes and some glitter to create my seascape. Now it's your turn to create a scene! Join the fun at Stamp TV and play along with us! Click HERE to jump right to the StampTV challenge link up.